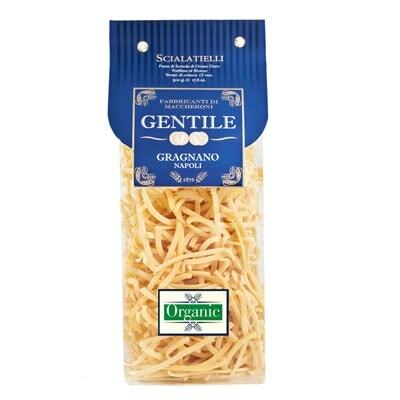 A highly unique pasta typical of the Amalfi coast, this Scialatielli is from pasta company Gentile. Typically in chaotic bundles, you can serve this pasta with any of your favorite sauce. Traditionally, however, most people serve it with some hearty meat sauce such as ragù. Whichever you prefer, these pasta can be quite the beautiful chaos on the plate. Not really interested in serving this pasta yourself? Well then, you may give them as gifts to friends, family, or acquaintance. After all, not only do these make scrumptious pasta dishes, but they’re also 100% organic. This means its ingredients are natural and healthy. Curious now? Grab a bag and start cooking!